I have two new obsessions in my life an I tried combining them yesterday and it was a total failure. I’ll explain more in a bit, but are you on Periscope yet? If not you have to check it out. It’s like reality TV 24/7. I’m there as @russej10 and I’m streaming live at least once a day. My other obsession are these bite size healthy snacks. 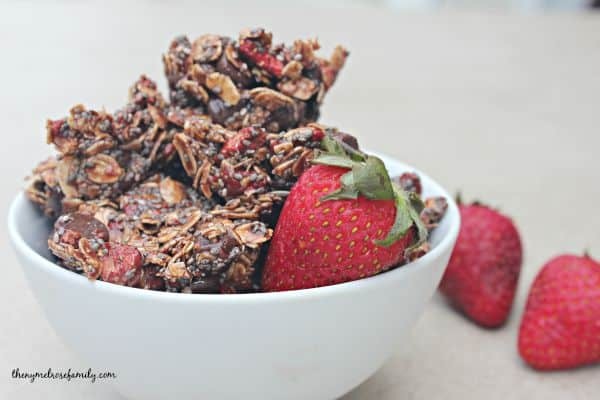 I have all different kinds on my site that you can find HERE, but these Chocolate Strawberry Energy Bites are by far my favorite! I know you’re all wondering how combining periscope and these energy bites turned into a disaster so I’ll just spill the beans. I was streaming live how to make these when I was interrupted by Avery. We are in the midst of potty training and she was outside with Joe when she came in to tell me that she was all wet. Her little face was so sweet and what’s a mama to do, but show the true reality of our daily lives. I stopped mid-stream and tended to her. It made me question how realistic Periscope would be for me considering my girls are with me 24/7, but I realized that is what makes Periscope so great. It’s like an unveiling. You get to see all the behind the scenes not just the pretty pins. It makes bloggers real people and I hope you’ll stop in to see the real me or as I like to tag myself #HotMessExpress. Alright, enough about that. 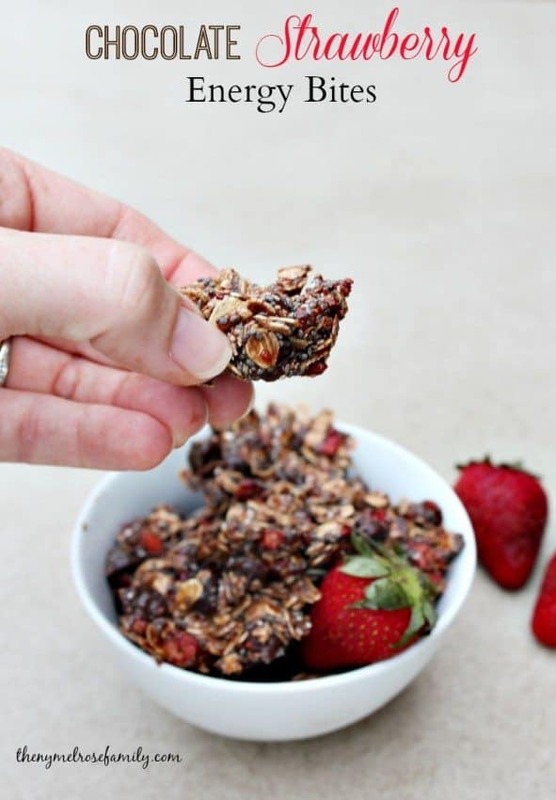 Let’s get to these absolutely perfect healthy snack. 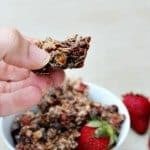 They combine two of my favorite flavor combinations with chocolate and strawberries, but they’re healthy. 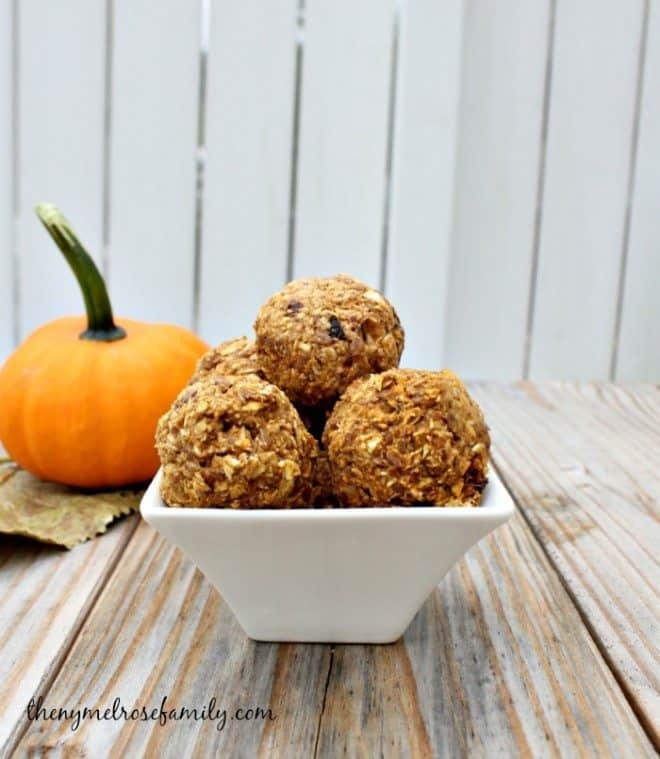 Plus, if you use gluten-free rolled oats then you have a great gluten-free snack as well. In the recipe, you’ll see that I state to refrigerate them, but when it’s so hot like it’s been, I like to freeze them in a mini muffin tin. They pop out easily and my girls gobble them up when they’re frozen. 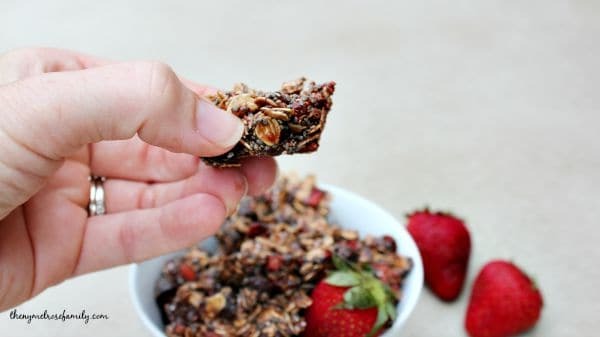 Chocolate Strawberry Energy Bites consist of healthy ingredients and are the perfect healthy snack. In a food processor combine all of the ingredients except the chocolate chips and process until it creates a paste. Add in the chocolate chips and combine into the mixture. 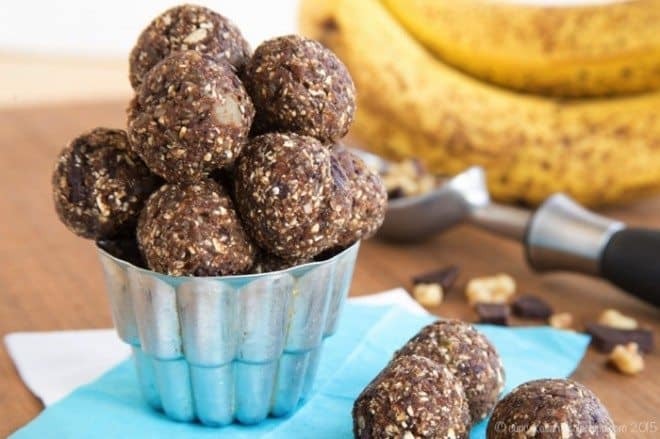 Roll the mixture into balls or place them in a mini muffin tin for bites. 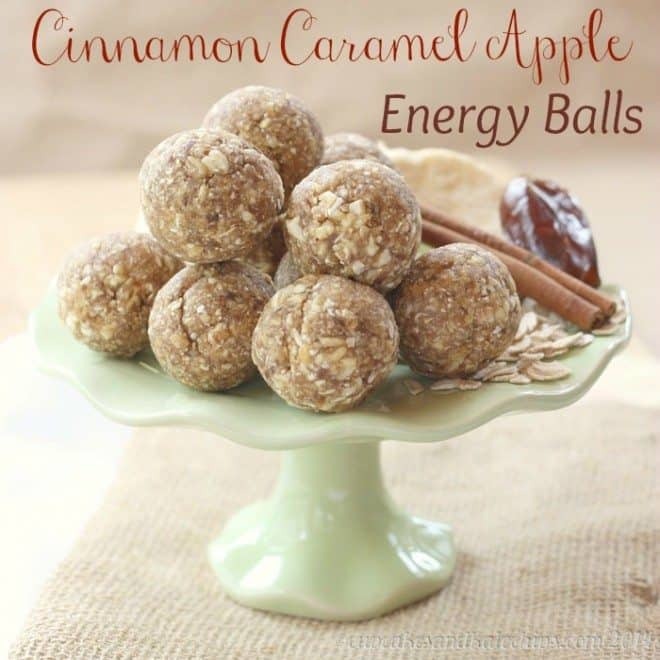 Chill the balls or bites in the refrigerator for at least an hour before eating.